Like Superman’s Clark Kent from Smallville, Santa spends most of the year hiding in plain sight in Montrose among the town’s residents; but every Christmas he transforms himself from anonymous resident into Santa Claus, donning a full white beard, dressed in the traditional red suit with white trim and black boots, to stand on Public Avenue, waving to all who pass by. While many do not know for sure who he is, you can bet he knows who you are. For Santa, who wishes to keep his true identity secret, it’s the perfect way to encourage the spirit of Christmas. 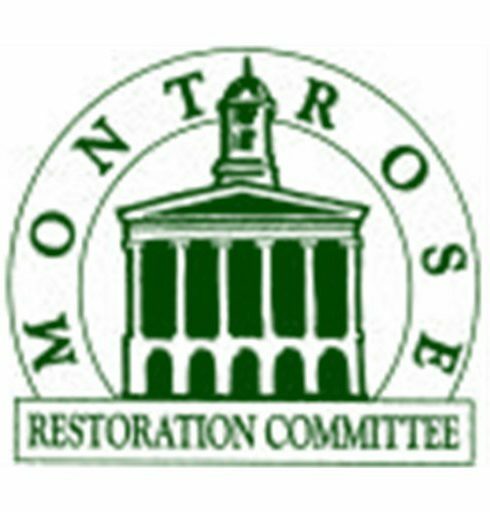 He also feels that his annual presence helps promote a small-town feel that most Montrose residents enjoy and want to preserve. As Santa, he particularly likes to stand either on the Avenue or off to the side simply to show people that Montrose is a safe place and everybody is friendly. “It becomes a way of life and people depend on me being there. People bring their children or other loved ones just to see me,” he declares. Over the years, Montrose has attracted a diverse community that really appreciates steadfast small-town traditions. For Santa, the Christmas season really begins with the “Christmas in Montrose” weekend, scheduled this year for Friday through Sunday, December 1 through December 3. On Saturday, December 2, Santa will be at the Susquehanna County Historical Society on the Montrose Green for free photographs from noon to 4:00 p.m. He also visits the Susquehanna County Free Public Library every year for the Preschool Story Hour to be with the children because Santa believes the children are really what Christmas is really all about. So this year, take a drive up the Avenue, give a wave, and maybe you, too, will feel the magic and the spirit of our small-town Christmas…the spirit of giving, sharing, laughing and keeping the traditions of the season in our hearts and in our little historic community of Montrose.